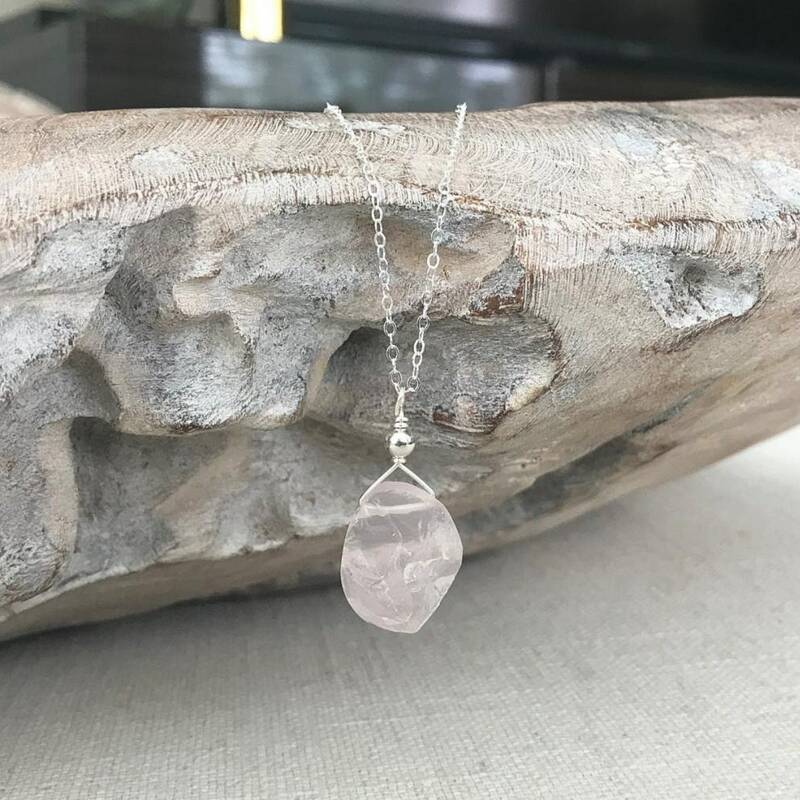 This beautiful large raw, rough rose quartz drop is layered with a gold filled or sterling silver smooth bead and dangles from a gold filled or sterling silver chain finished with a gold filled or sterling silver lobster claw clasp and findings. 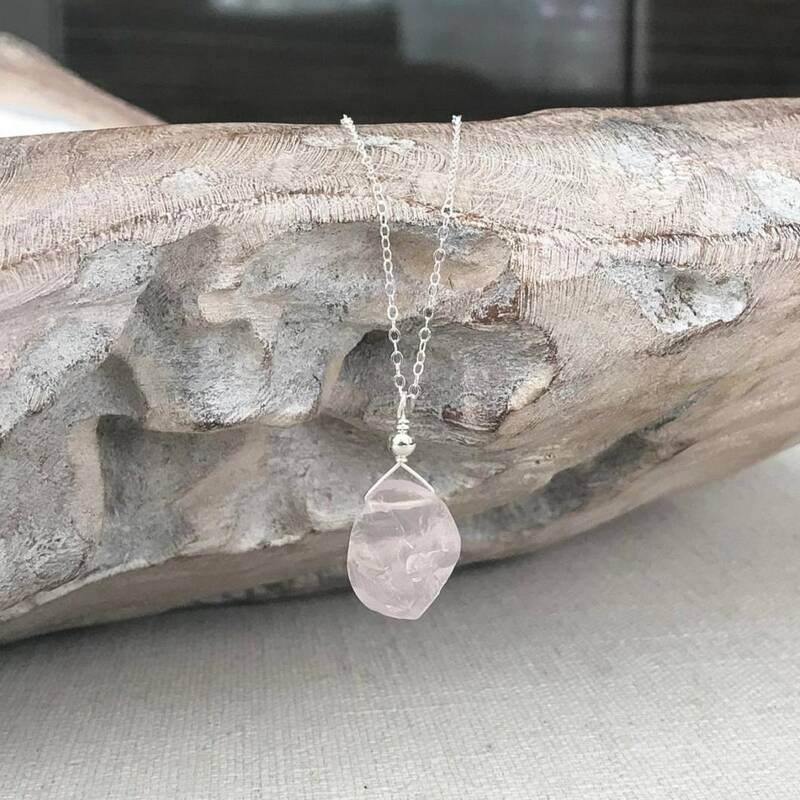 Simple and elegant on its own and also makes a wonderful layering piece. A perfect gift for a special someone or maybe just a little treat for yourself! Please select your preferred chain length of 16", 18" or 20 from the drop down menu at check out. Do not hesitate to message me should you prefer a different length. 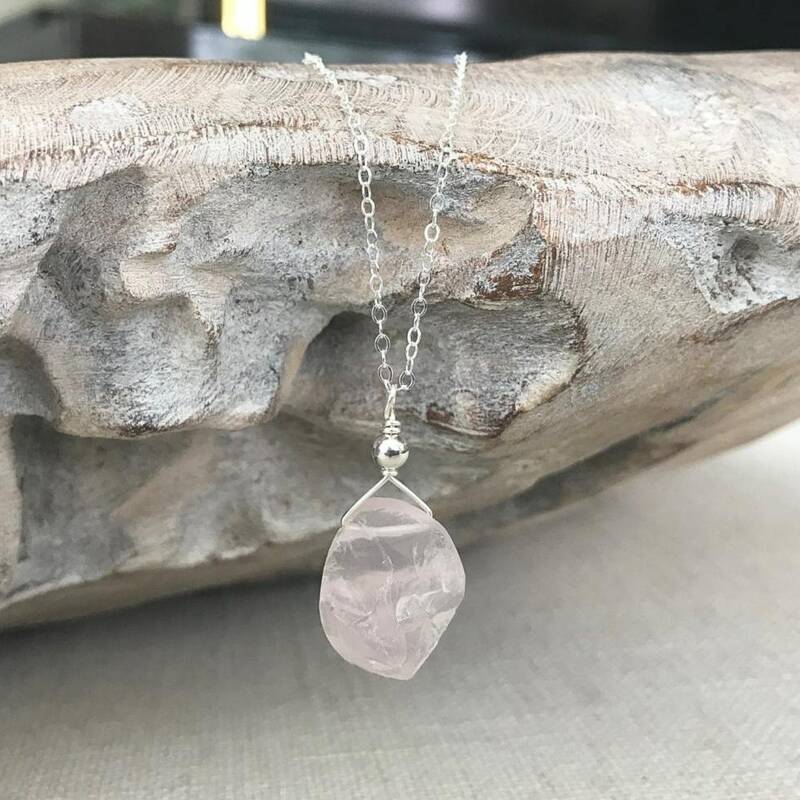 The raw rose quartz stone is approx 20x15mm. 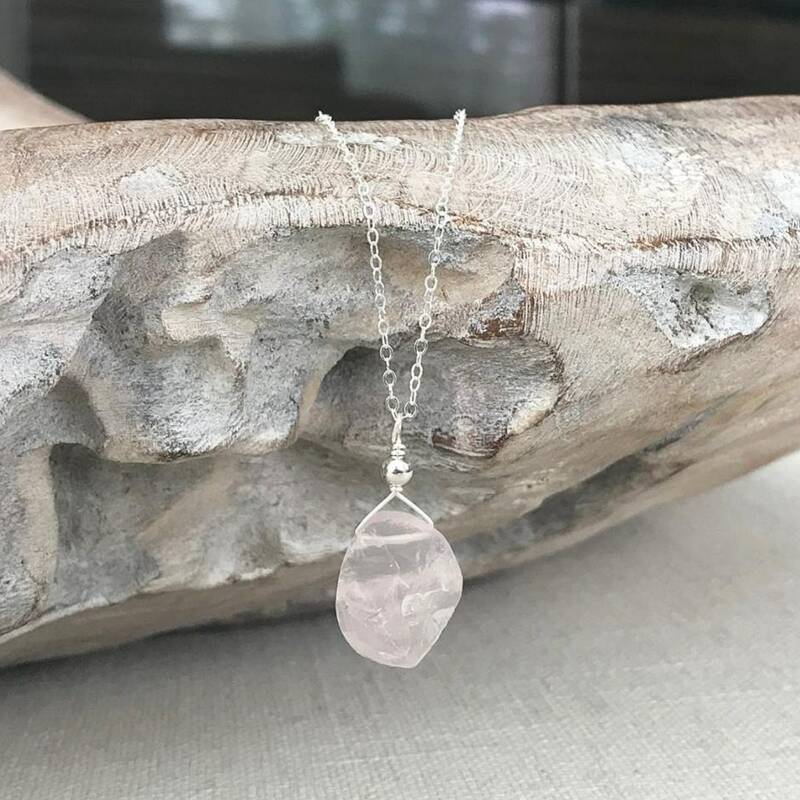 Each necklace is handmade with gemstones. There will be slight variations in size and/or color that are not considered flaws but are the trademark of a handmade products. Free first class USPS shipping within the USA. FREE USPS First Class shipping on all orders within the USA only. This is regular mail and although my shipments typically arrive within 3-5 business days USPS First Class mail can sometimes take longer. Shipping upgrades to either Priority (1-3 days) or Priority Express (1-2 days) available at checkout for USA orders only. Please make sure to check that your shipping address is current & accurate with Etsy as this is the address automatically used when generating shipping labels. Outside of the USA shipping is $15.00 for USPS First Class Mail. No shipping upgrades available for international orders at this time. Important note for international orders - the purchaser is responsible for any fees/taxes their country & their post office imposes such as VAT, Import/Duty Tax and/or Customs Tax & processing fees on the package required prior to delivery. Please be aware of your countries policies and possibly any restrictions before placing an order. These taxes/fees are not included in the price of the item and are the purchaser's responsibility. You are very important to me and I am confident you'll be happy with your purchase. However if for any reason you are not, I will gladly fully refund you once the item is returned. Item must be returned within 21 days of receipt. Please contact me if you have questions regarding any of my items or shop policies with respect to purchases. 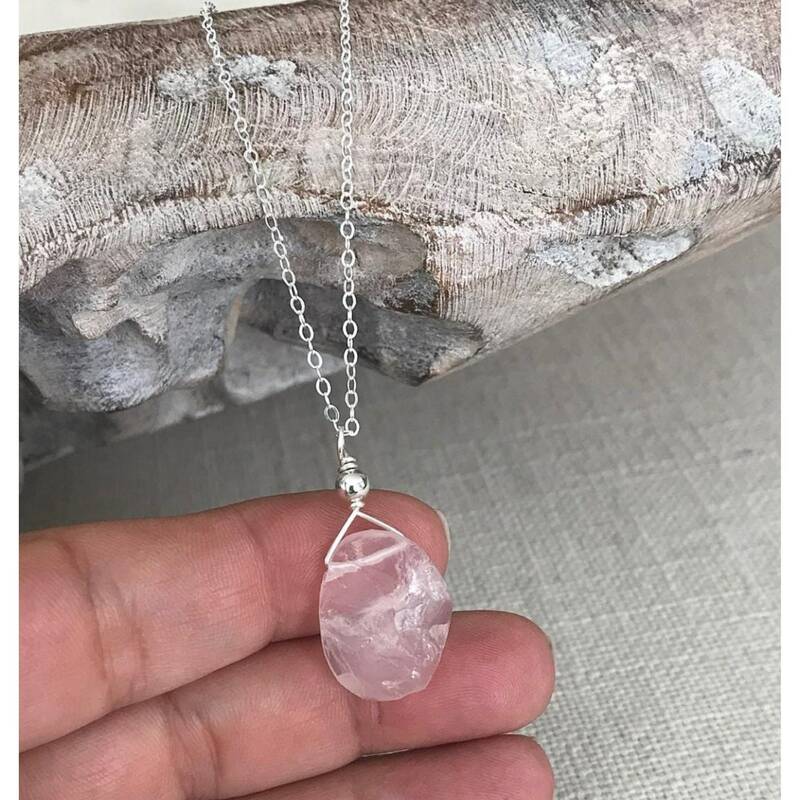 If you're interested in a piece but would prefer it in a different color, stone, length or quantity please contact me with the specifics. I would love to hear from you and always do my best to accommodate custom orders. All purchases are gift wrapped by me and ready for gift giving. Please make sure to check the "gift" box and include a personalized gift note in the "gift message" box if you would like to include one. Free USPS first class shipping on purchases within the USA. This is regular mail and although my shipments typically arrive within 3-5 business days USPS first class mail can sometimes take longer. If you would like it expedited faster there are shipping upgrades available at check out for USA orders only. Important note for international orders - the purchaser is responsible for any fees/taxes their country & their post office imposes such as VAT, Import/Duty/Customs Tax and processing fees on the package required to be paid prior to delivery. Please be aware of your countries policies and any possible restrictions before placing an order. These taxes/fees are not included in the price of the item or the shipping cost. You are very important to me and I am confident you'll be happy with your purchase. However, if for any reason you are not please contact me right away. I will gladly accept returns or exchanges. Item must be returned within 14 days of receipt. Some of my pieces are available to wholesale purchasers. Please contact me to let me know which items you may be interested in. Great service - I received it very quickly and the presentation was beautiful. I would absolutely buy from them again.